Al Brown is an astoundingly creative and busy guy, and quite often we’re running trying to keep pace. We did manage to find some space to work on some new t shirt designs though, in time for the great New Zealand summer. Available from Al’s website. 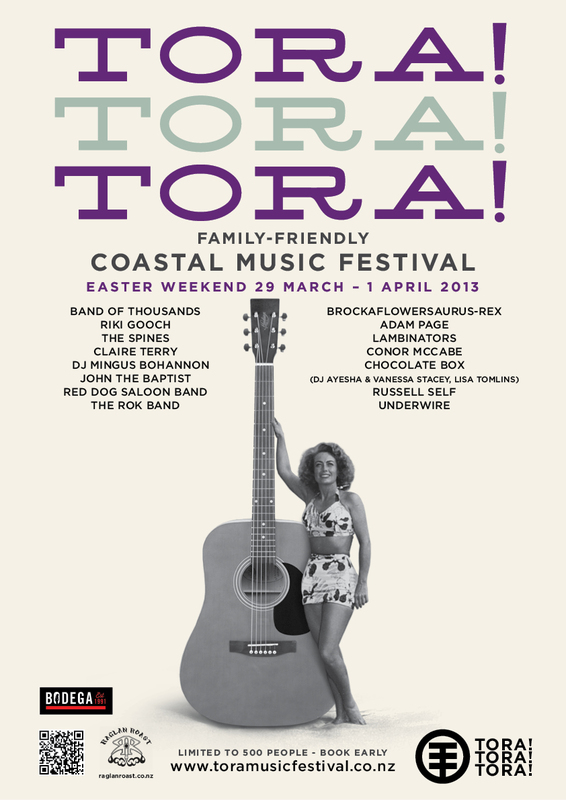 Each year some friends throw a 2 day music festival by the sea at a place called Tora, on the Wairarapa Coast. This year we waded in with some design help. You are currently viewing the archives for December, 2012 at the gas project.